BOOK YOUR TOURS AND ADVENTURES WITH PARADISE! Take an exciting boat drive through the mangroves to the village of Monkey River. 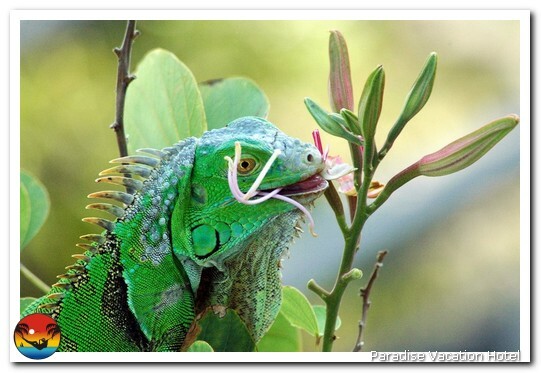 Travel upstream and view monkeys, crocodiles, birds, iguanas and other jungle life. For lunch, enjoy a Belizean meal in the village. This adventure takes you on a 90-minute ride through rural Belize where you will see the Garifuna, the Mestizo, and the modern day Maya communities. We will visit the “factory” in which IXCACAO Maya Belizean Chocolate has been made since 1985. This is a small family operation in the Community of San Felipe Village. The chocolate was originally under the name of Cyrila’s Chocolate. On 12-21-2012, Cyrila’s Chocolate was given a new name in commemoration of the end of the Maya calendar. The new name, IXCACAO Maya Belizean Chocolate, translates to “Queen of Cacao”, the Goddess of Fertility and Happiness in the Maya Ke’kchi dialect. IXCACAO is the only Maya Chocolatier in the Country of Belize and Juan is prepared to take you through the making of chocolate as if you were back in 1500 AD, using stone tools that have been passed down from generation to generation. You will find yourself immersed in the cultural experience of the origination of IXCACAO chocolate. Enjoy Belizean cuisine at a local Belizean restaurant followed by a visit to the ancient Maya city of Nim Li Punit. This Maya Ruin has an ancient Maya ball court, astronomical observatory, precious artifacts and huge stone monuments (stelae). These monuments were used to commemorate and record important political events such as alliances, wars and battles, family trees, and visits from official delegations from surrounding cities. Traveling from Placencia across the Hummingbird Highway, you will see the Maya Mountains, the ‘one-lane’ bridges and some rural villages of Central Belize. You will also pass through the twin towns of San Ignacio and Santa Elena. At the entrance of the ancient city, we will cross the Mopan River on a hand-cranked ferry. An experienced guide will tell you all about the Xunantunich where you will see “El Castillo”, one of the structures that towers 130 feet above the court yard. After our journey back in time, we will break for lunch at a local restaurant in the village of San Jose Succotz. Thereafter, we will begin our trip back to Placencia, passing through Belmopan, the capital city of Belize. We will also stop at the Inland Blue Hole for a quick refreshing dip. This is a full day of adventure and you will learn a great deal about Central Belize. Travel south from Placencia for a look at Garifuna, the Mestizo and modern day Maya communities. Choose your adventure in this all-day look at Southern Belize. Belize's longest zip line is just an hour's drive north of Placencia. Includes your lunch. This is a home of the Jaguar Reserve. You can river tube, go birding, hiking and see the waterfalls. 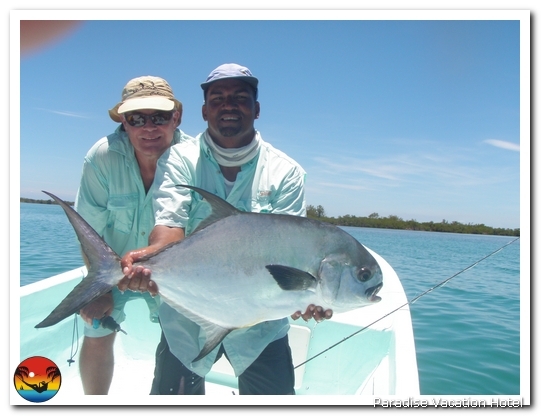 Go out with an experienced fly fishing guide to hunt for the Grand Slam, which happens often in Placencia!!! You choose trolling, bottom fishing or spin casting. Snorkel off one of the cayes in the Lark Range and marvel at the beautiful coral and marine life. While snorkeling, you will see turtles, nurse sharks, a variety of rays, turtles and much more. Enjoy a beach BBQ, as well. Snorkel and see lots of colorful reef fish and beautiful coral. Local Belizean lunch provided. Private tours and tours not listed above can be arranged. Contact us for details and pricing.